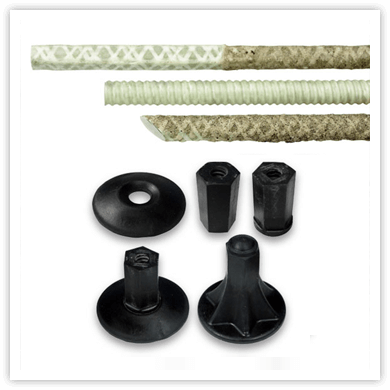 TUF-BAR develops and produces Fiberglass Rebar and accessories. TUF-BAR Fiberglass rebar is a stronger and lighter alternative to conventional steel rebar. It is ¼ the weight of steel, superior in tensile strength, non-magnetic, and non-conductive rebar that has a life cycle of 100+ years. GFRP products, including TUF-BAR Fiberglass Rebar, are specified for use in roadways, bridges, dams, concrete slabs, barrier walls, marine applications, tunneling and temporary reinforcement, and power generation facilities. TUF-BAR meets ASTM D7957 standard and is a fully approved GFRP Rebar. It is available for shipping worldwide. Our corrosion free, supreme quality GFRP rebar will extend the life of your concrete structure up to 100 years! We use the highest quality corrosion resistant vinylester resin and fiberglass materials that are in sync with CSA and ACI codes. Our product is proven and makes us one of the best fiberglass manufacturers in the world. TUF-BAR is a proud member of the Canada Green Building Council. TUF-BAR Fiberglass Rebar is an environment-friendly product which aids in the achievement of several LEED® credits in both Canada and the United States. 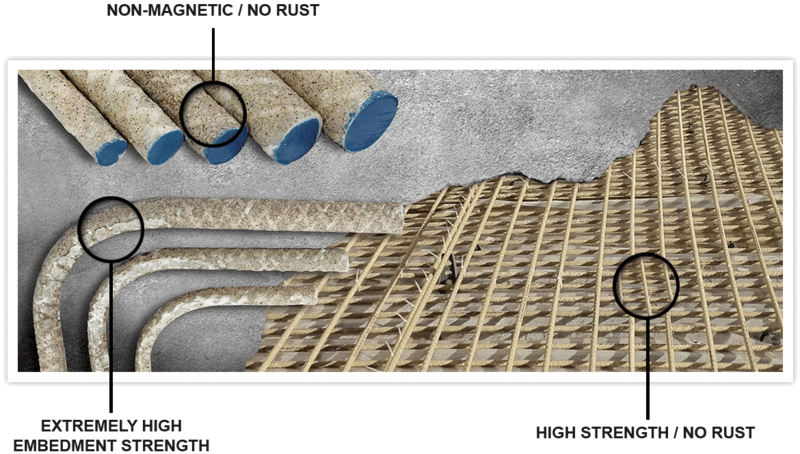 It is the most effective solution for building sustainable concrete structures. TUF-BAR Fiberglass products are produced using our proprietary patented pultrusion manufacturing process. We only use the highest quality vinylester resin and fiberglass materials to manufacture TUF-BAR Fiberglass Rebar, Rock Bolts and Form Ties. Strict controls are maintained to ensure that every unit of TUF-BAR product is compliant with the CSA and ACI building Codes. TUF-BAR is a proud member of the FRP- Rebar Manufacturers Council, Intelligent Sensing For Innovative Structures, American Composites Manufacturers Association, the Canada Green Building Council, The American Association of State Highway and Transportation Officials, The Canadian Society for Civil Engineering, The American Society of Civil Engineers, and the National Precast Concrete Association.